The offers are subject to approval by a third party, typically the mortgage lender, not the homeowner. The timeframe for an offer’s review and approval could take several months. Many times the lenders accept various offers, which could provide the buyer a frustrating situation not knowing the status of their offer. In many cases the lender may consider paying for repair expenses and/or buyer closing costs. The timeframe to close a sale could take several months. Short sales can be incredible buys! As a potential buyer, you may submit your offer at a reasonable price. If the lender believes it is more profitable to accept your offer than to let the home go to foreclosure, your offer has a good chance to be accepted. 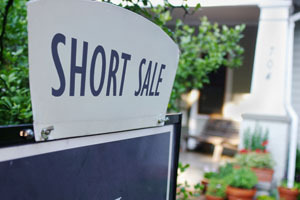 If you would like to receive more information on how to purchase a short sale listing at a great price, please contact us.